A quick article around my adventures with the Arduino. This time, lets play with infrared. More precisely lets catch IR signals and send them back. The IR sensor can be found here. The IR emitter can be found here. 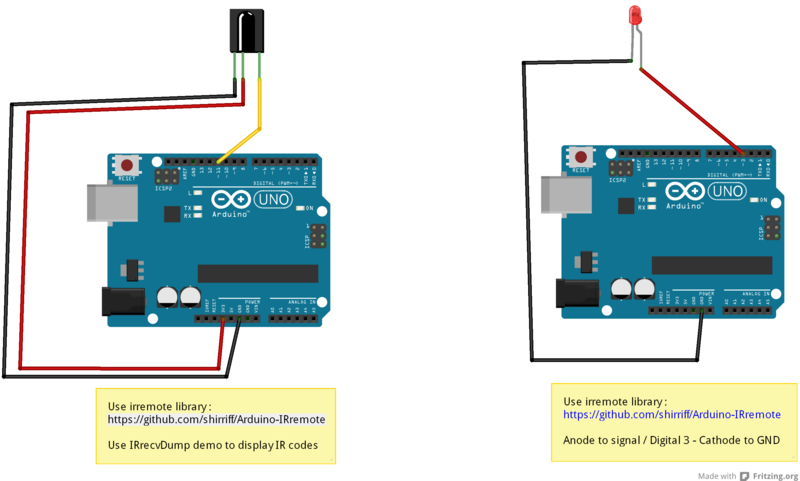 You can use 2 arduino or built it all on one arduino (if so, add a object.enableIRIn() after each send or you wont be able to receive after the 1st send). Here below the wiring and a quick and dirty sketch for sending. Now go and place with your remotes ! Sketch to send signals with your IR emitter. 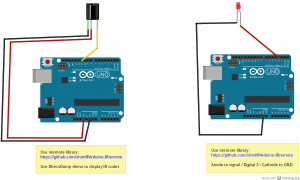 * IR LED must be connected to Arduino PWM pin 3. Reboot to your target ! 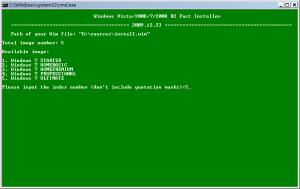 Note that we have already covered installing win7 (or win8) directly to an ISCSI target : here. However, there are times where yoy may not have a dvd drive or media available, or else, you may also want to perform some tasks before triggering the windows setup. There you can either use starwind target free edition or any other target (many home nas device do have that feature also). The target should be at least 8GB. 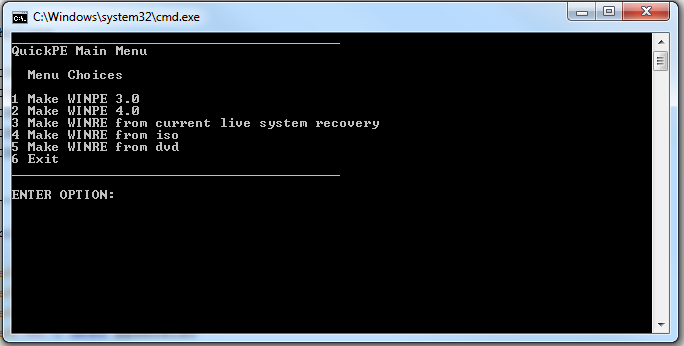 The script will atatch your iscsi target and boot into winpe. Note : you need one physical disk in your computer or else winpe might reboot in a loop. 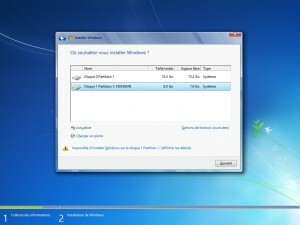 Also the windows setup will not go pass the disk selection if not physical disk is present. 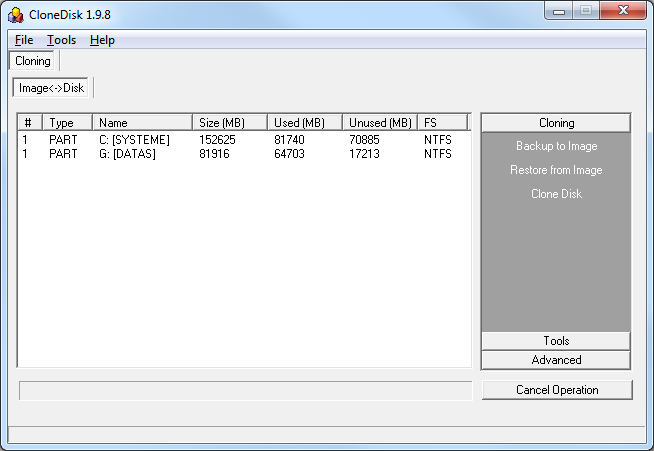 Once in Winpe you should see your iscsi target listed as a physical drive : to check this, launch CloneDisk or diskpart. Fist, lets create a disk, then lets create a (active) partition and finally lets format it : you can do all this with CloneDisk or diskpart. 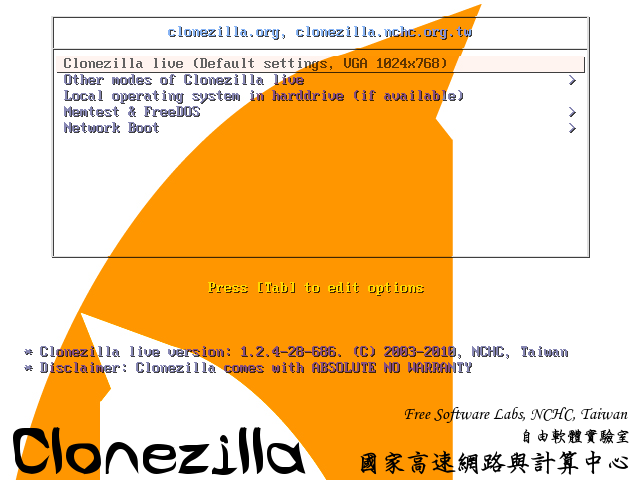 Then Lets also take care of the MBR and BS either with « bootsect.exe /nt60 c: /MBR » or with bootice or with CloneDisk. Finally lets also create the bcd store with the following « bcdboot x:\windows /s c: ». C: is your iscsi disk, X: is your winpe disk. 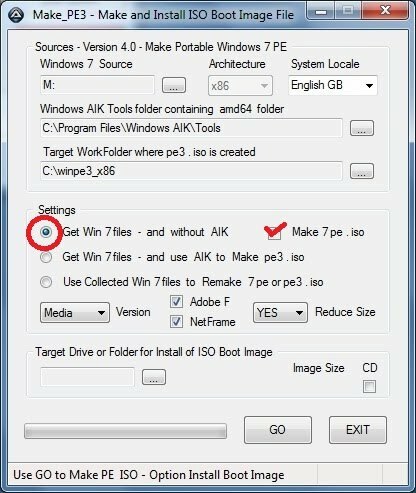 Another alternative is to copy the bcd folder and the bootmgr file from your dvd to your target drive. 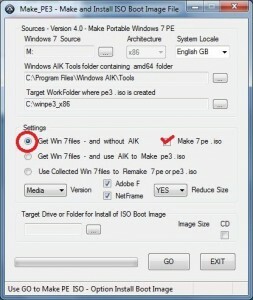 Then edit c:\boot\bcd with bootice or bcdedit and add a default win7 entry. 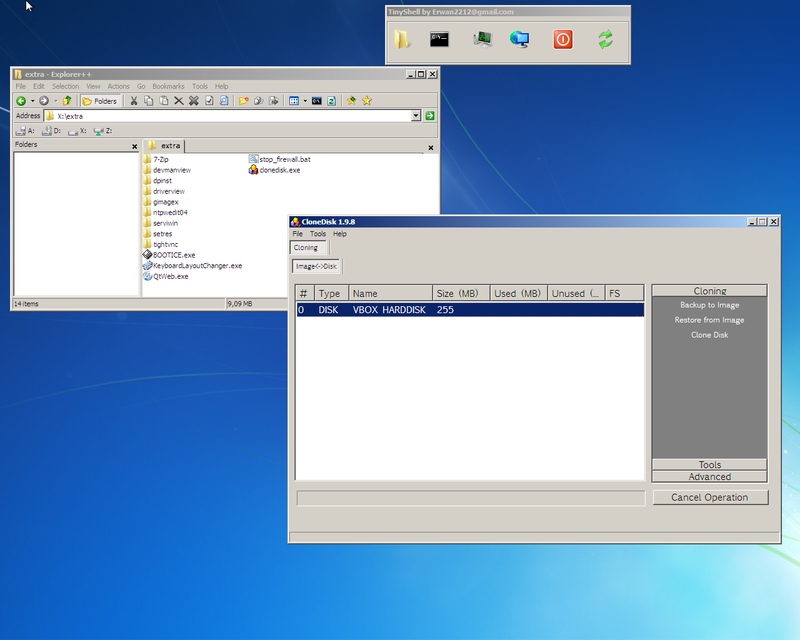 Now we are ready to perform the installation : map a drive thanks to PeNetwork (in the tinyshell launchbar) and either map a dvd shared over the network or an iso found in a network share. 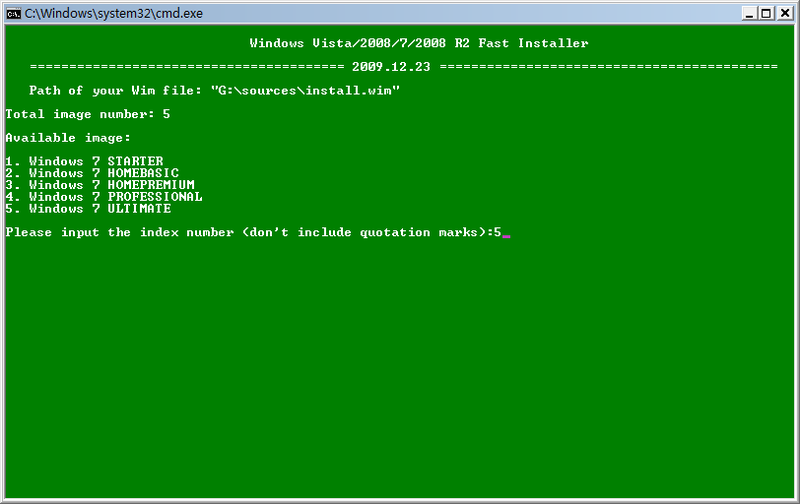 Note : CloneDisk can also mount a virtual dvd driver from an iso file (only in winpe4). 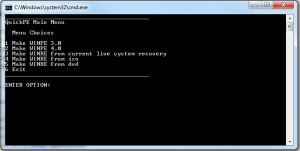 Launch the windows setup and let it run : you should find your iscsi drive there. 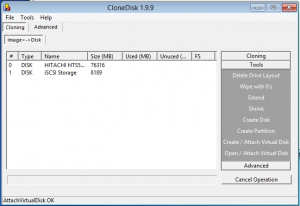 Here below the different steps to backup or clone a (physical or logical) disk (hosting any operating system) using WinPE and CloneDisk. QuickPE and unzip it to x:\quickpe. At this point, you have an iso file in x:\quickpe\x86 named winxx.iso. 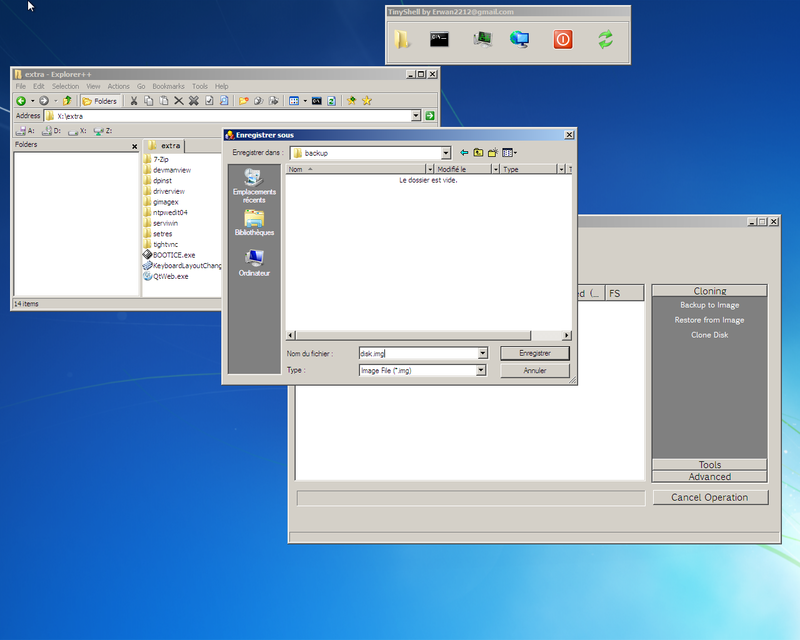 or (more complex) boot it thru pxe (using these guides). 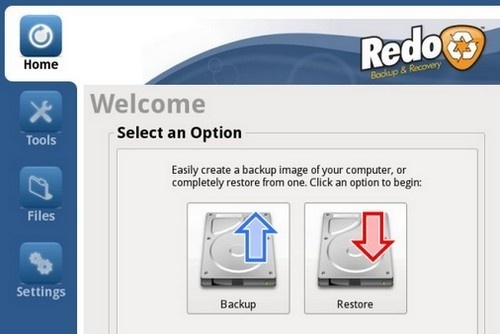 This step is needed only if you intend to backup your drive to an image file over a network drive. Once booted, ensure you have a correct network setup using PeNetwork : click on the info button. Provided, you have a network connectivity, then map a network drive, still using PeNetwork. Now, launch clonedisk from x:\extra folder, choose your source drive and either back it up to your network drive or clone your source drive to a new target drive. 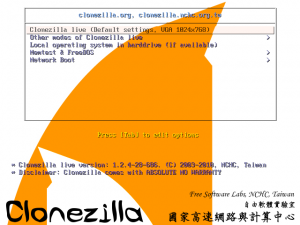 open clonezilla.iso in winrar (or any other iso reading capable tool). open redobackup.iso in winrar (or any other iso reading capable tool). note : adapt /x/pxe/ISO/redobackup to your own path. A standalone tool to easily make a customised winpe3 with or without AIK.